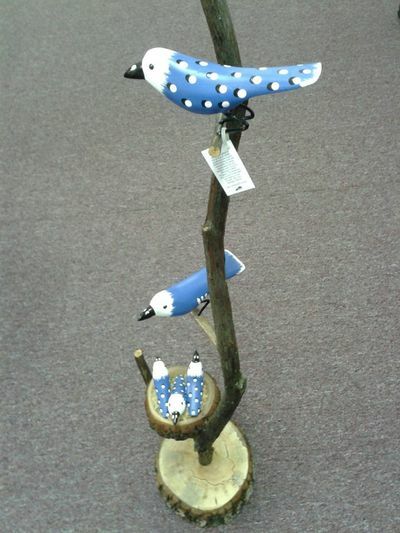 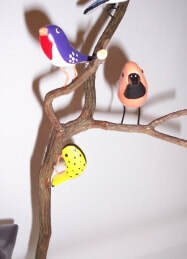 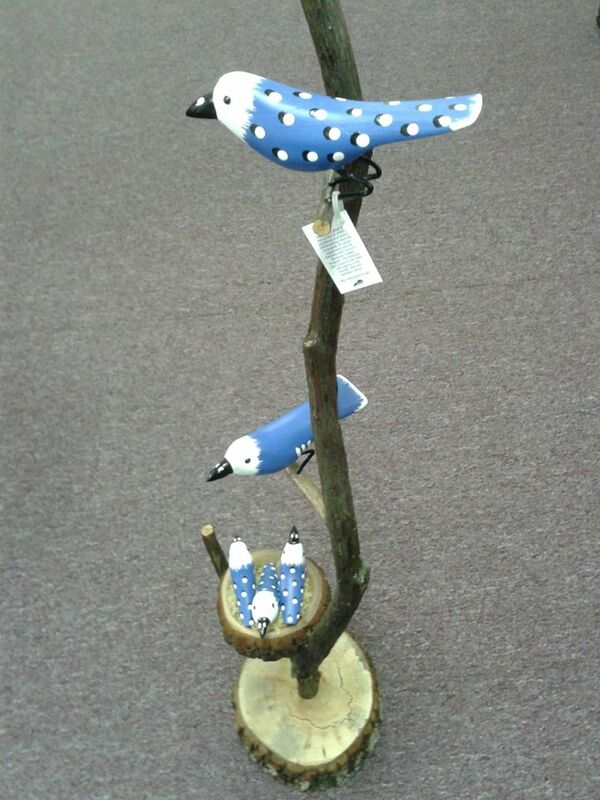 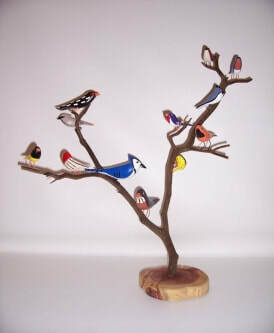 The small bird trees sets on a base and comes in a range of shapes and a variety of birds. There are approximately 12 birds on the tree. 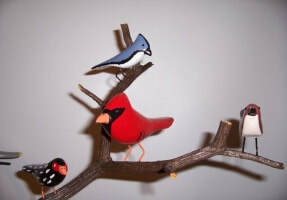 ​Specific types of birds vary per tree. 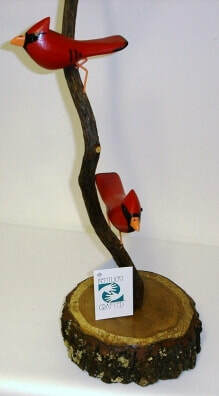 #001 Cardinal Tree The Cardinal Tree has several cardinals perched up it branches. 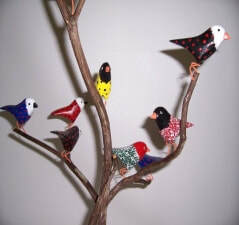 Each tree vary in sizes and number of birds. 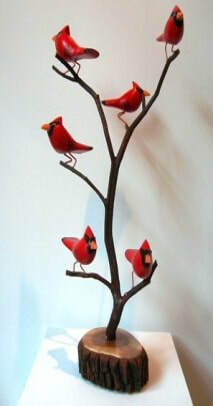 #001A Cardinal Tree The Cardinal Tree has several cardinals perched up it branches. 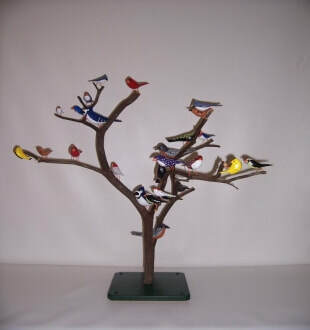 Each tree vary in sizes and number of birds. 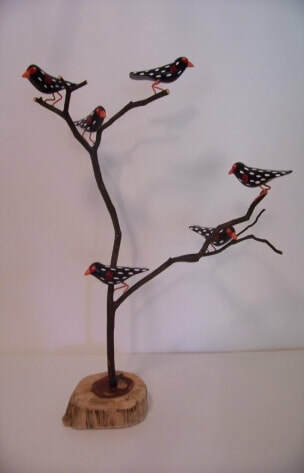 #005 Red Winged Black Birds The six red winged black birds are hand carved and painted. Sizes of trees vary. 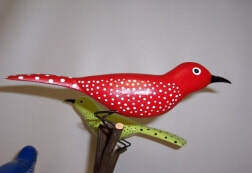 #006 Hummingbird Trees Close Up These hummingbirds are hand carved and painted. 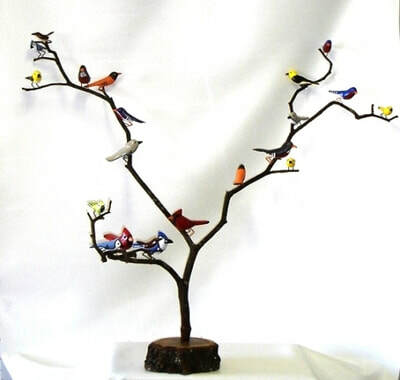 This tree has 12 hummingbirds perched on its branches. 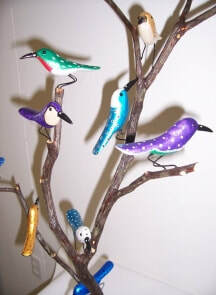 #006 Hummingbird Trees These hummingbirds are hand carved and painted. 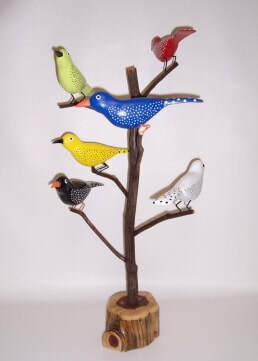 This tree has 12 hummingbirds perched on its branches. 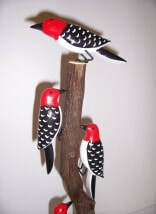 #006 Hummingbird Trees Top These hummingbirds are hand carved and painted. 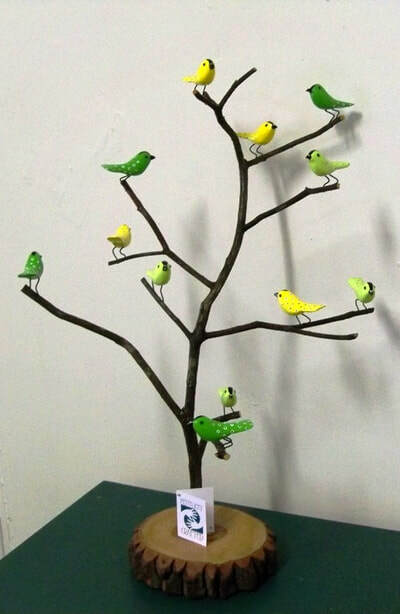 This tree has 12 hummingbirds perched on its branches. 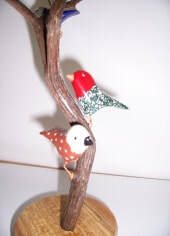 #009 These small bird trees sets on a base comes in a range of shapes and a variety of birds. 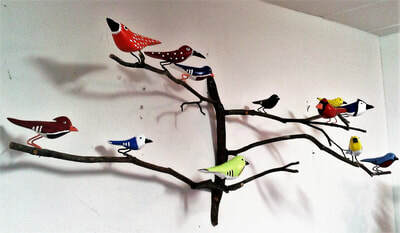 There are approximately 12 birds on the tree. 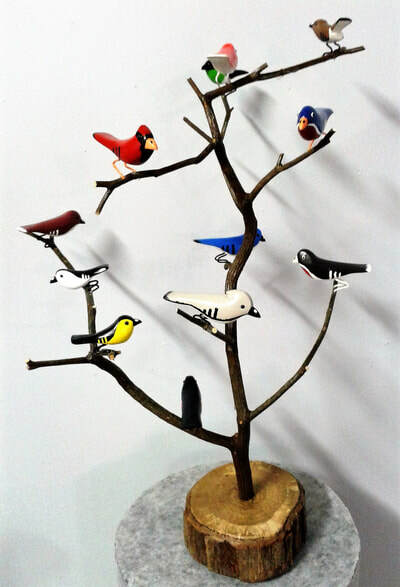 Specific types of birds vary per tree. 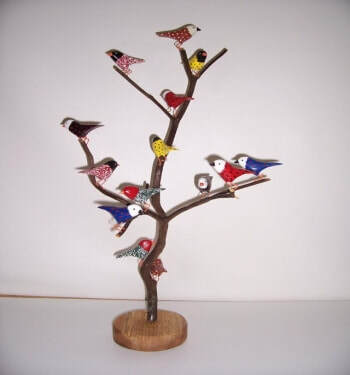 These wall hanging small bird trees comes in a range of shapes with a variety of birds. 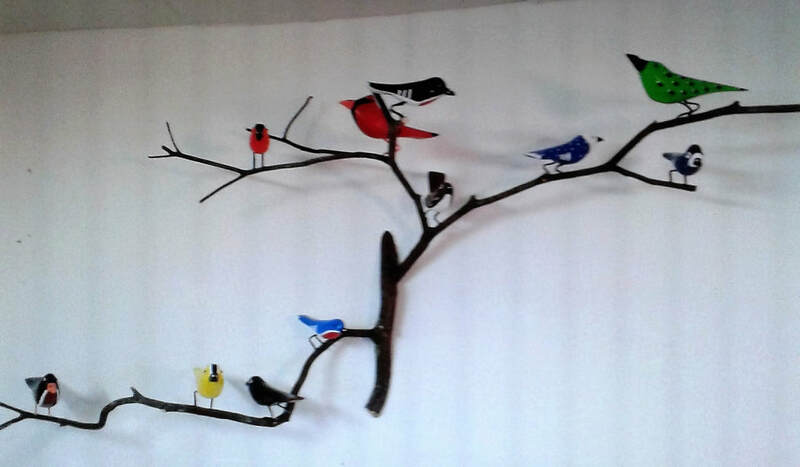 There are approximately 12 birds on the trees and hangs on a wall. 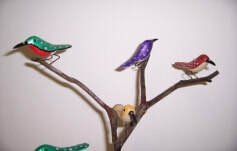 ​ Specific types of birds vary per tree. #002 Hanging Bird Tree with a different branch. 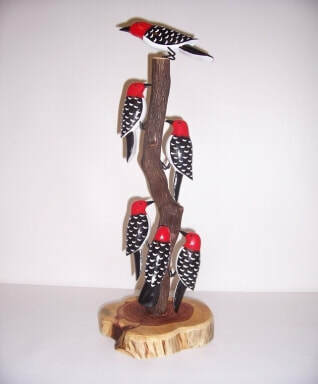 The large bird trees can measures approx. 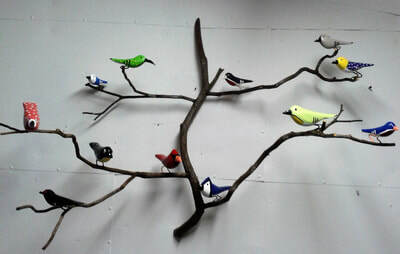 36" wide by 38" tall. There are approximately 21 birds on the tree. 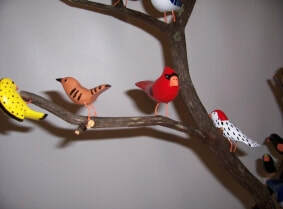 Specific types of birds will vary per tree. 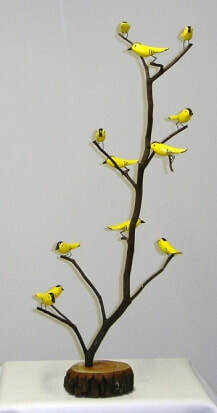 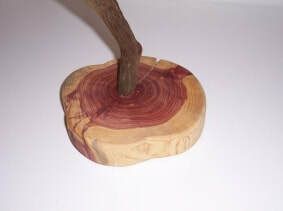 This size of bird tree is only available for pickup or local delivery from our workshop. 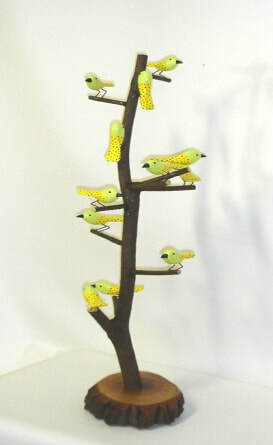 #002 Big Bird Tree This bird tree holds six different birds perched upon it's branches. 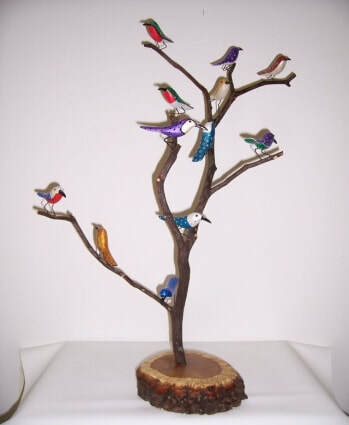 #002A Big Bird Tree This bird tree holds six different birds perched upon it's branches.